My last run of the season at Pitztal Gletscher, what an epic place, wish we had skied here all season and not just the last day! The only causality of the last day – my K2 Annex 108! My favourite ski I’ve ever shredded!! Many après after the last day skiing and my last day in Austria, left is Alex Hoffman, good friend and new qualifier for 2015 FWT, congrats! South Tirol got masses of snow this season, This barn/house in Ridnauntal Valley, Italy had its whole ground floor buried! 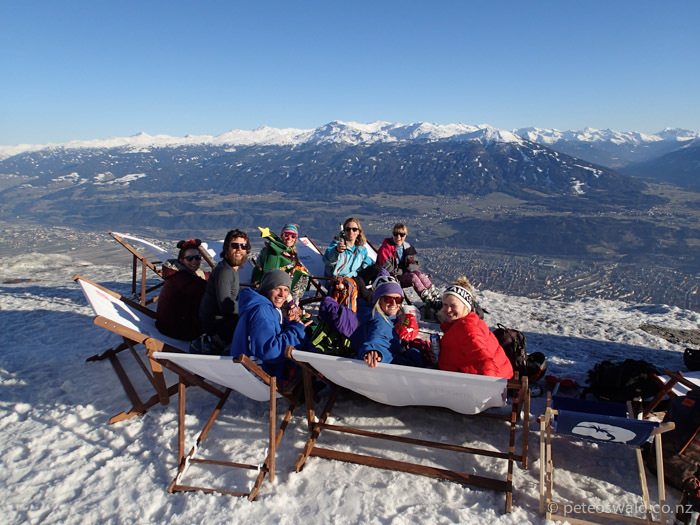 The same crew enjoying some spring time weather in down town Innsbruck, this crew skied and partied together a lot! 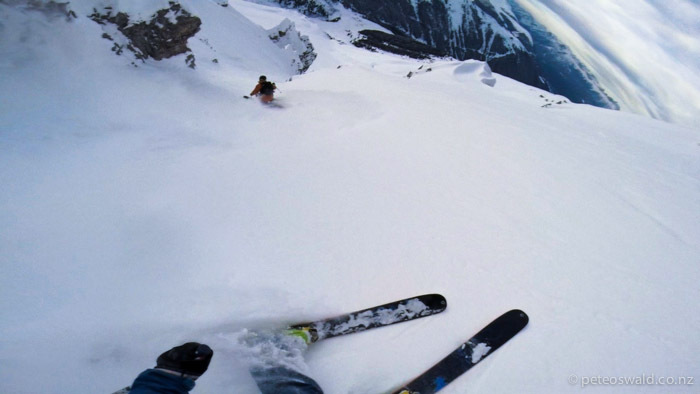 By looking at Tom von Platts in the photo you would not believe it wa his first day ski touring! I had some fantastic days with this man. 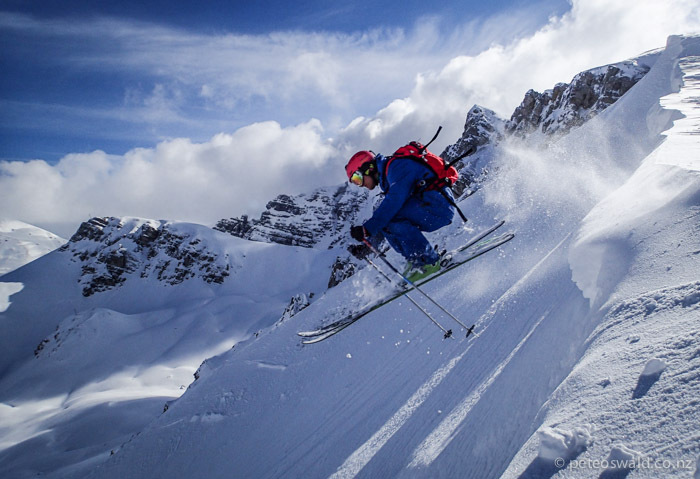 Some great days spent skiing and filming with this fine Austrian chap, Jochen Measle. Here we are in St Jacob, East Tirol where we were snowed in for 4 days! My brother Will Oswald even came out for a visit! His girlfriend, Alice broke both her legs on the trip, woops!